Hello everyone! Hope you’re doing well. I have a pretty simple and quick craft to show you today, it’s something I made before Christmas at the request of my dad. He had the idea that rather than get my mom some random stuff for Christmas, he’d compile a list of things they could do together throughout the year like visit places they keep saying they’ll get too. He came to me with this idea and at first I thought about having a nice jar with smalls bits of paper you would pick out at random to see what the activity was but he brought up playing cards and I then thought that form would work better as you can still turn them over and pick something at random or flick through them and pick what you want. So I told him to make a list of 28 activities and I set about making some cards. 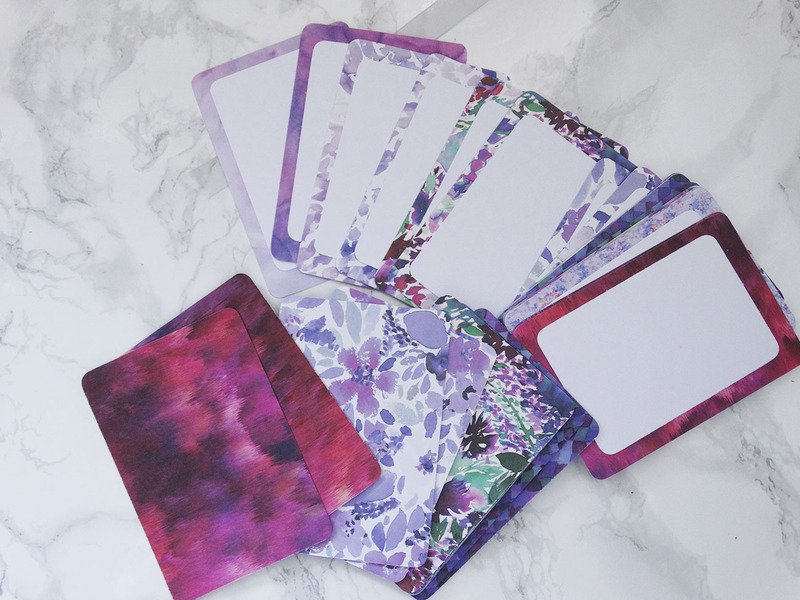 The cards are very simple – essentially, I just cut a bunch of rectangles from card. I can’t remember the size I cut the cards too, I just cut the first one to a size I liked the look of, measured it and cut the rest to match. I did the same with the white card layer for writing the activities. 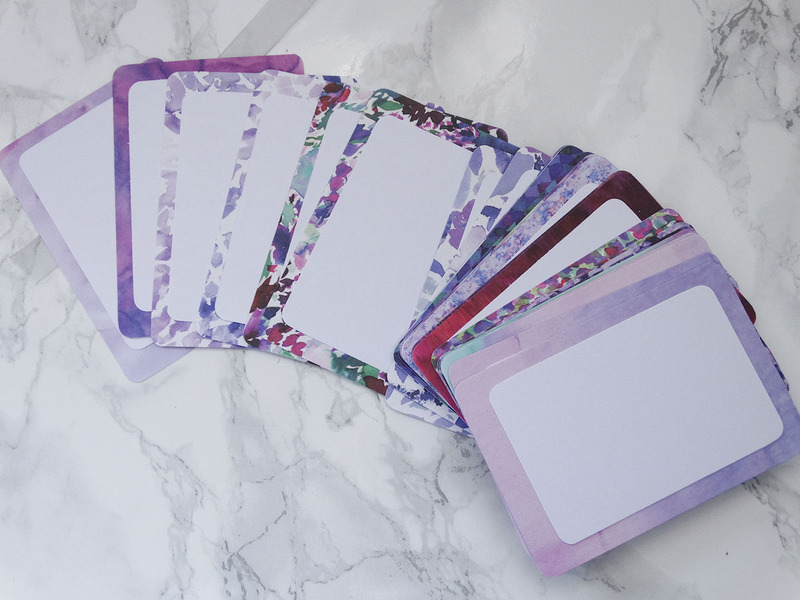 I did use a punch to round the corners of everything because I prefer how it looks that way and I figured if you were flicking through the cards rounded corners would feel much nicer than sharp, pointed ones. When I was picking card from my stash, I made sure to pick double-sided card as both sides are visible. 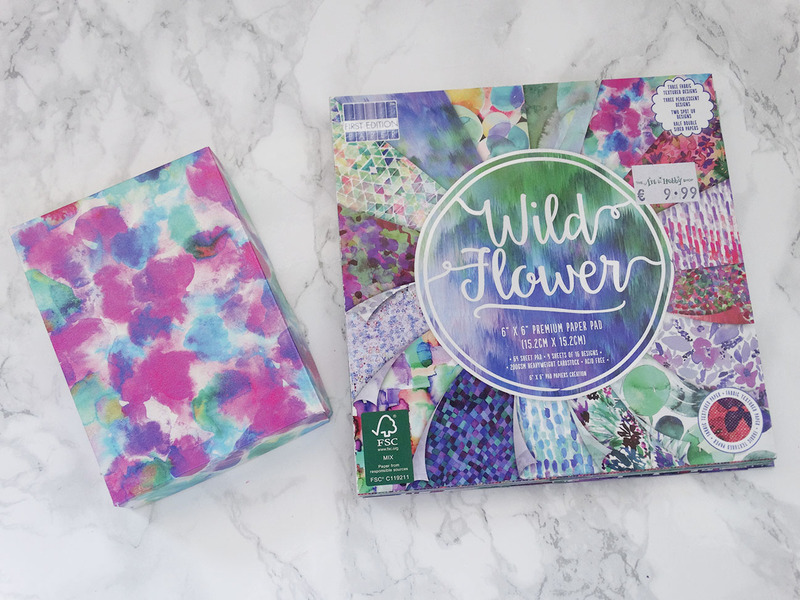 I decided to use up some of this First Edition Wild Flower 6×6 pad because it’s nice and heavy card (300gsm) and had plenty of double-sided sheets in it – it’s also just an incredibly pretty set of cards. 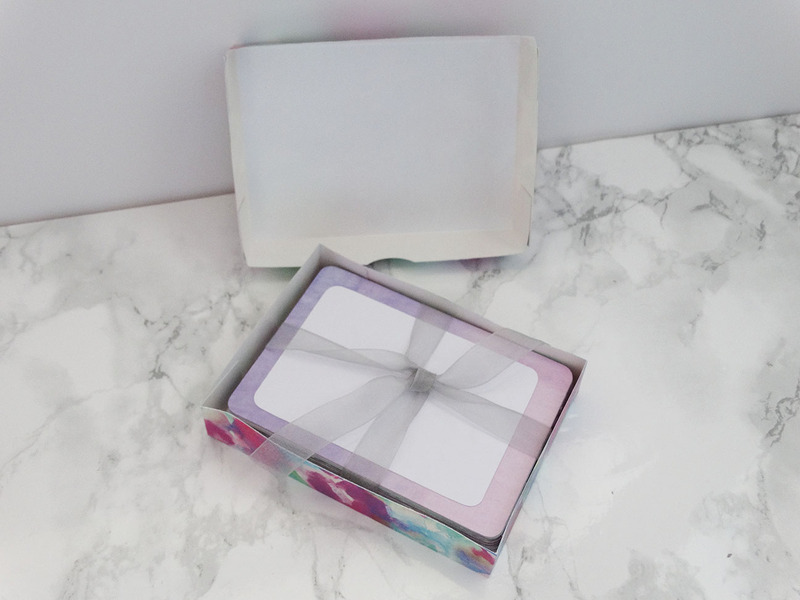 To finish off the cards, I made a simple box to store them in using some more card from the Wild Flowers card pack. And that was it! Nice and simple! I did end up writing out the list of activities on the cards too because apparently ‘doing fancy letters’ is my thing?